Thursday, HBO re-sparked FYM's interest in their quietly brilliant (super underrated!) American pulp comedy, by posting the first teaser-trailer for season three of Bored To Death (watch below). It's a short, well-edited teaser, featuring the clever use of The Beastie Boys uprocker Triple Trouble (from their 2004 record To the 5 Boroughs) as a walking soundtrack for the three main stars of the series- Ted Danson, Zach Galifianakis, and Jason Schwartzman. For those not in the know- we've decided to revisit the core-characters who make this show so special. 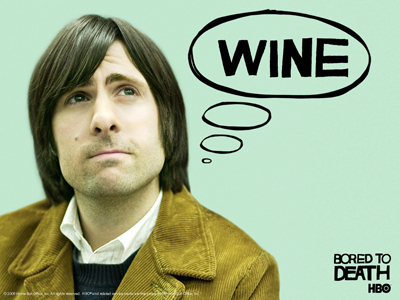 Jason Schwartzman plays Jonathan Ames- a struggling novelist, living in Brooklyn- who enjoys moonlighting as an unlicensed private detective. The Jonathan Ames character has an affinity for white wine, strange women, and the pursuit of getting himself into awkward situations. 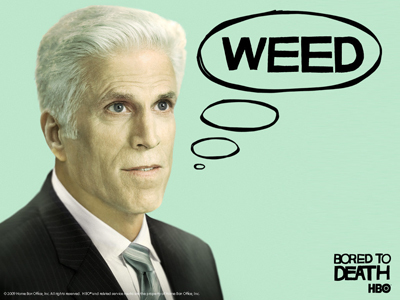 Ted Danson plays an absent-minded, reefer tokin' -cocky (yet lovable) magazine editor named George Christopher. It's possibly the juiciest role he has ever committed to, and with the anything goes platform HBO prides itself on delivering, Danson's acting prowess/comedic timing, truly shines brighter than ever. Zach Galafanakis plays a non compos mentis comic book creator ('Super Ray') named Ray Hueston. He's an overly sensitive, paunchy alcoholic, with lady issues. Ray continually gets pulled into Jonathan's misadventures, often stealing scenes with his clever comedic delivery. The eclectic trio together- oozes with off-beat, wit-filled chemistry. 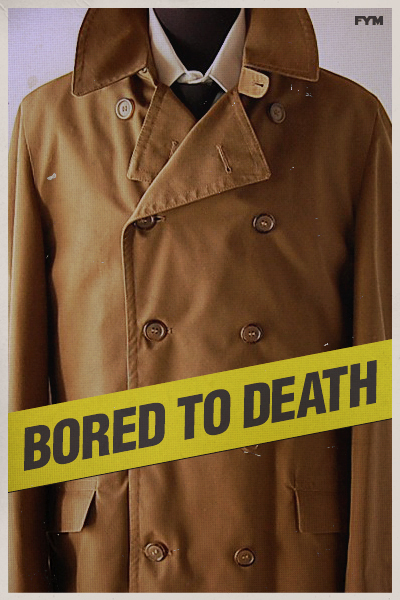 Bored to Death is for those introspective kids who grew up reading Encyclopedia Brown stories. HBO subscribers can now watch the first two seasons of Bored to Death via HBO Go. You can also find the series on DVD and Blu-Ray for reasonable prices on Amazon HERE. Let's hope HBO will continue to support (several seasons down the line) creator Jonathan Ames, and his pursuit of publicly exposing the many sides of his sophisticated personality. 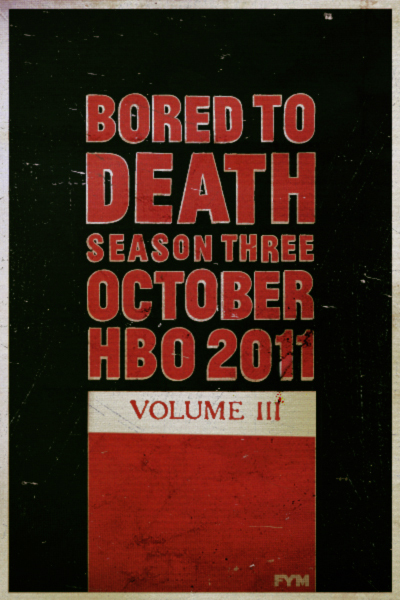 Mark your calendars, Bored to Death season three premieres Monday October 10th 2011- Cheers, FYM. Words. Top graphic. J Thomas Codling.